Home > News & Blogs > Brain Injury > Stem Cell Treatment in Cerebral Palsy: a world to come or wishful thinking? Stem Cell Treatment in Cerebral Palsy: a world to come or wishful thinking? I specialise in compensation claims relating to child brain injury and have particular expertise in cerebral palsy cases. In this evolving area of medicine it is important to be alive to the many innovative developments occurring in the treatment of cerebral palsy and to be mindful of how they may benefit clients in the future. Stem cell research is one such development and in recent years the possibility of expanding stem cell therapies to treat cerebral palsy has formed part of front line research. This research has sowed some early seeds of hope that stem cell therapy may be able to alleviate the often debilitating symptoms associated with cerebral palsy in the future. Cerebral palsy is an umbrella term used to describe conditions characterised by lost or impaired motor function. It affects muscle control, tone and coordination as well as posture, balance, fine and gross motor skills and oral motor functioning. 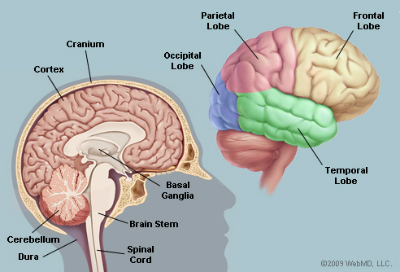 Cerebral palsy results from damage to the brain. It can arise from abnormalities during the development of the brain during pregnancy, complications during birth or as a result of neonatal illness after birth an issue I explored in a previous blog. Cerebral palsy varies greatly between individuals and the manifestation of the condition differs depending what area of the brain has been damaged. 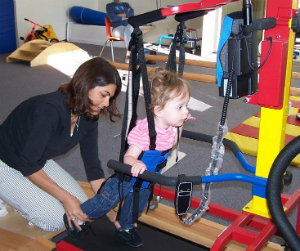 Spastic cerebral palsy is the most common form accounting for around 80% of cases. It is characterised by muscle tightness, making movement difficult. Spastic cerebral palsy is associated with damage to the motor cortex of the brain, the control centre of the body’s movements. Dyskinetic cerebral palsy accounts for around 10-15% of cases and causes involuntary movements. Dyskinetic cerebral palsy usually arises from damage to the basal ganglia, the brain’s centre for interpreting messages between the movement centre and spinal cord. Ataxic cerebral palsy is the least common form of cerebral palsy and accounts for around 5% of cases. It is associated with shaky movements, tremors, problems with balance and depth perception and often results from damage to the cerebellum, the balance centre of the brain. Mixed cerebral palsy is a combination of spastic, dyskinetic and ataxic cerebral palsy as set out above. Current treatment centres on the alleviation of symptoms to make cerebral palsy more manageable. Healthcare professionals including physiotherapists, occupational therapists, and speech and language therapists work with children to improve muscle control and communication skills. Stem Cell Therapy, is it a Cure? Research into the use of stem cells in the treatment of cerebral palsy is in its infancy. At this time the prospect of stem cells providing a cure for cerebral palsy is considered unlikely. Scientists are instead focusing their research on protecting, repairing and preserving damaged brain cells before they disappear thus offering a potential for improvement in symptoms. To date the research has largely involved animal studies. The early results have been positive and some improvement in the symptoms of the animals has been identified. The mechanism of the improvement is not yet fully understood and the translation of these early successes to human cases remains uncertain. Much of the cerebral palsy stem cell research centres on the use of neural precursor cells. These cells, found in the brain and spinal cord, can transform into the different specialised cells found throughout the nervous system. 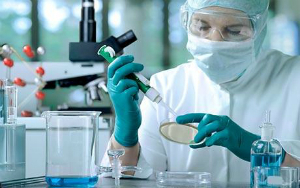 One avenue currently being explored is that of cell replacement; the transplanting of neural precursor cells or nerve cells grown by precursor cells in laboratories into patients with cerebral palsy to replace damaged cells that have been lost. This is hugely complex, not least because the transplanted cells need to connect to the existing network in the brain which is made up of thousands of cells. The risks associated with this therapy are high. Its feasibility is very uncertain and for now it is at best a long term goal. An alternative is the use of neural precursor cells to protect and repair damaged brain cells. Research suggests that the protective properties of the injected neural precursor cells can prevent the loss of specialised brain cells such as neurons. Mesenchymal stem cells which develop into circulatory tissue, muscle and bone, when injected, appear to travel to the site of the damage in the brain and produce substances that assist the repair of nerve cells. Blood stem cells taken from the infant’s umbilical cord shortly after birth have proved useful in treating conditions such as leukaemia. Researchers are now investigating their use in treating cerebral palsy. Embryonic stem cells and induced pluripotent stem cells (iPS) which can be manipulated to turn into any type of cell in the body are being used to study how cerebral palsy works and identify other potential treatment options. Finally, work is being done to develop drugs to target and stimulate the existing stem cells in a child’s brain, encouraging them to repair the damage themselves. Is there a place for stem cell treatment in the litigation process? The use of stem cell treatment is still in the laboratory testing stage and in some parts of the USA has reached very early clinical trials. As with all cutting edge therapy the implementation and use of stem cells must be met with a degree of caution. Cerebral Palsy is an extremely complicated condition and the draw of the potential benefits must be balanced against the uncertainties and risks which at this time are still under investigation. At Bolt Burdon Kemp our Child Brain Injury team are dedicated to providing an innovative service which adapts and evolves to meet the unique and wide ranging needs of our clients. In the future providing for the option of stem cell therapy within a claim may merit serious consideration but for now, while the potential rewards and possible risks remain uncertain, stem cell therapy remains an exciting prospect for the future but one requiring everyone involved to tread carefully. I am a Senior Associate Solicitor at Bolt Burdon Kemp specialising in Child Brain Injury claims. If you or a loved one have suffered an injury as a result of someone else’s negligence or you are concerned about the treatment you have received, contact me free of charge and in confidence on 020 7288 4843 or at claudiahillemand@boltburdonkemp.co.uk for specialist legal advice. Alternatively, you can complete this form and one of the solicitors in the Child Brain Injury team will contact you. You can find out more about the team.